It is not always prudent or possible to keep a pen empty "just in case" but there are pens available to purchase which take up very little space. There are double decker ones which in an emergency can house two cats. There are also collapsible pens which can be purchased from the larger pet stores or online. None of these pens should be used on a day to day basis as they are far too small but they could certainly be used in an emergency situation. 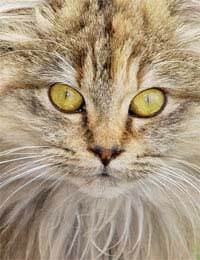 You should try to develop a good relationship with other cattery owners in your area. It can be mutually beneficial to have a cattery nearby that you would feel happy to recommend to your customers when you are full. (You should always visit before recommending as it will reflect on you if things go wrong). Having established a good relationship you would feel happy to take a cat to them if you really couldn't keep it beyond the date it was due to be collected. For instance you might have arranged a holiday expecting the cattery to be empty. Whenever you take a booking you should insist on a contact number. Some owners will give you their own mobile numbers saying that they will be able to receive texts and messages. While this is always useful in an emergency (if the cat is ill) it will not help you if they have an accident or are inexplicably detained (the present volcanic eruption is a very good example). It is absolutely essential to have a contact number of friend or family member who could arrange collection in an emergency. It is your job, as a cattery owner to take responsibility for the animal while it is in your care, but you should also expect to be kept informed as to what is happening. If you did need to take the cat to another cattery you should of course give all details both to the cattery and to the owners. It is only reasonable to expect the customers to pay for the extra time the cat has been boarded with you. If you take a deposit at the time of booking then get the balance paid when the cat is left with you, any additional costs will need to be paid by whoever collects the cat. While this is not unreasonable you could have a problem if the person collecting the cat is not the owner. It would be difficult in these circumstances to refuse to release the cat particularly if you are desperate for the space. To encounter problems like these would be unusual but it is just as well to be aware of them. If the customers are regulars and you know that the reason why the cat has not been collected was genuinely unavoidable, you could just charge for the extra food/heating. Customers will appreciate the gesture and it will earn you a good reputation. Interested in starting a cattery.Need lots of information first.